I found this image on Pinterest. I’d love to attribute it, but don’t know where it came from, although the description says it’s from Odessa, Ukraine. Cybertooth 2 months, 1 week ago. What does it say? The screen isn’t blue and the text is unreadable. Ah, the bad old days. Thanks. Oh, I see. 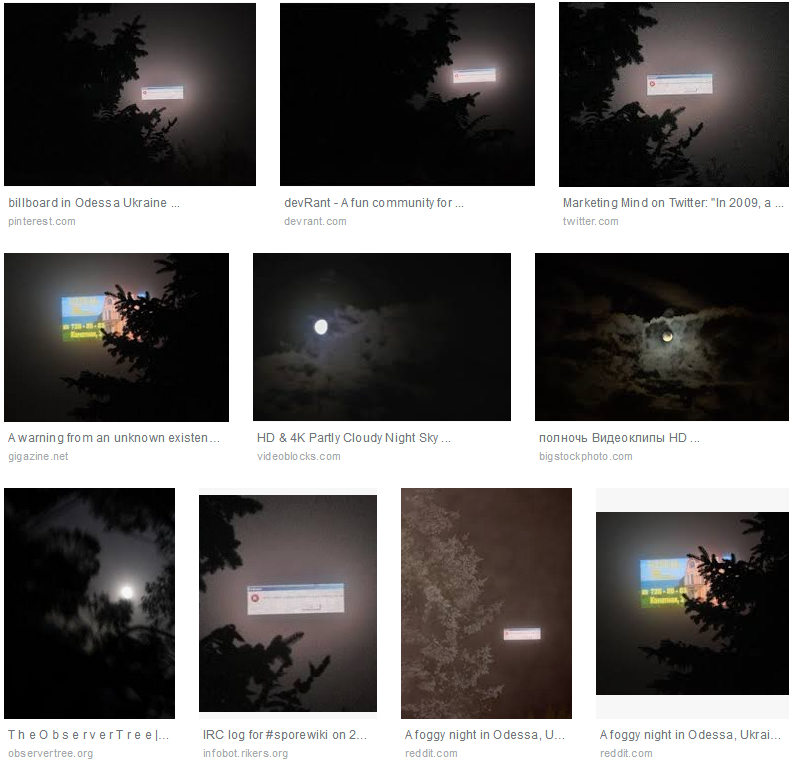 My first (and only) thought when seeing the original posted image, was that it was a Photoshop job, overlaying some unreadable error message over a nighttime sky. You know, like a work of art. 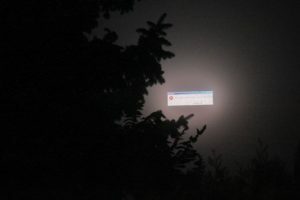 Didn’t occur to me that a billboard might run on Windows, or any other OS for that matter. An unthinkable / improbable / no sir cannot happen nightmare scenario,it isn’t !